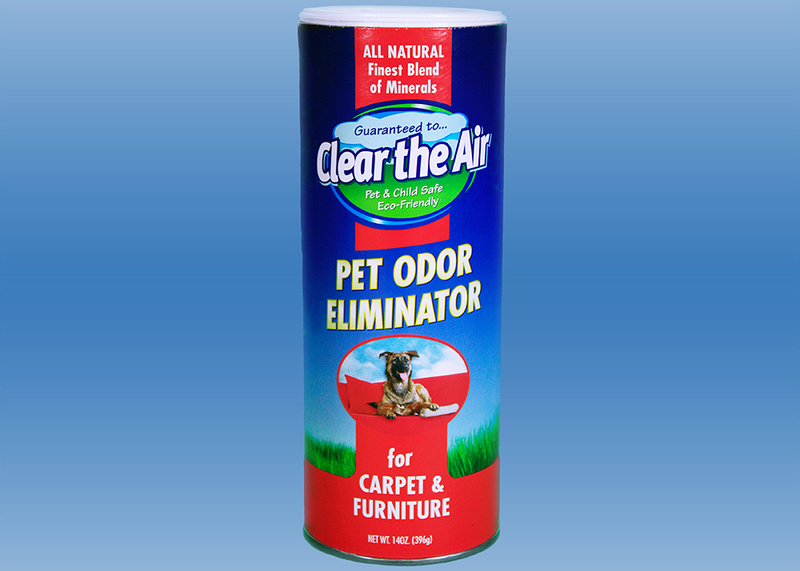 Remove pet odors from carpet, furniture and leather without chemical or fragrances. This unique form of Earth Care Products Mineral can be sprinkled on carpet and furniture as needed to eliminate odors. Removing pet odor from carpet and furniture is easy. Clear the Air does not have to come into contact with the odor producer; it will pull the odors from the entire area. It works well for old soaked in urine odors. 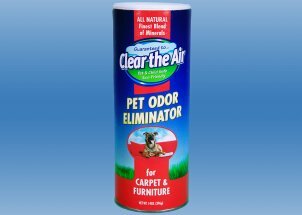 Clear the air does not cover up odors; it literally pulls the odors from carpets and furniture leaving the air fresh and clean. Sprinkle granules on carpet and brush into carpet. Leave down 24 hours and vacuum up. Sprinkle granules directly on furniture. Will not harm upholstery or leather. Leave down 24 hours and vacuum or brush off. Furniture and carpet odors are typically eliminated in one application, occasionally a second application is necessary. Click Here to learn more about eliminating pet odors.